But suddenly she’s faced with a choice that threatens to throw all her plans into disarray. As pressure builds from every corner of her world, Shauna wonders what she’ll have to sacrifice to keep hold of her dreams… Can she fulfil her own promise and still keep her promises to others? Will all her expectations be ripped away? Shauna is a Year 12 student on an Indigenous scholarship at Oakholme College, a prestigious Sydney girls’ private school. She’s suffered endless racist taunts from the school’s number one bully, Keli Street-Hughes, over the years. She has one more year, but then the new Indigenous scholarship student, Olivia, arrives. Olivia passes as white, wants nothing to do with Shauna and doesn’t want anyone to know her background. Shauna is one of the top students in the school so university and a trip to Paris are firmly in her sights. However, at the end of first term she is devastated to discover that she is pregnant as the consequence of a wild night at a music festival. All her best laid plans are thrown in jeopardy. Will she have to give up on her dreams? Shauna is such a brilliant character – funny, strong-willed and often hotheaded – that you can’t help but cheer for her right from the start. She is refreshingly down-to-earth, with a strong awareness of her good fortune. She’s also quick to notice when she’s being treated unfairly because of who she is. This delightful contemporary coming-of-age story delves into some meaty issues of social justice, racism and private-school snobbery whilst also being a cracking good read. 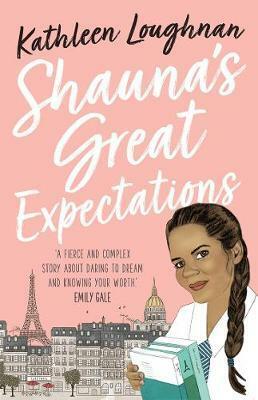 Shauna’s Great Expectations is a compelling debut from an exciting new Indigenous voice. This story has a lot to say and will no doubt find a welcoming audience. Suitable for readers aged 14+. Order online and we’ll ship when available ( 6 May 2019).